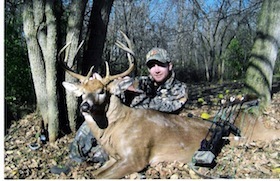 WHAT WILL THE OHIO BOWHUNTERS ASSOCIATION DO FOR ME? Whenever they are considering joining the OBA many bowhunters will ask ” Why should I belong to the OBA? or What will the OBA do for me?”. These are questions that deserve good answers for anyone who is considering spending their time and money to participate in the OBA. First and foremost the purpose of the OBA is to “Protect, Promote, and Up-grade thee sport of Bowhunting in the state of Ohio”. We believe this can only be accomplished by the sincere effort of those bowhunters who participate. To better answer what the OBA will do for me, let’s take a look at what the OBA has already done for bowhunters in Ohio as well as elsewhere. The Spring Bear Shoot, Summer Jamboree, State Shoot, and the Winter Awards Banquet are all annual events sponsored by the OBA. These events are family oriented and provide fun for bowhunters of all ages with outdoor animal rounds, novelty shoots, contests, and contests and raffles. Free camping is usually available for those wishing to attend the entire weekend. When members attend these events they have the opportunity to shoot their bows, meet with other bowhunters, and discuss things that may effect the future of Bowhunting in Ohio. 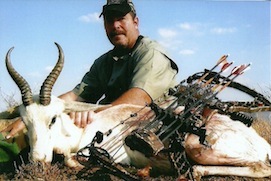 At the annual banquet held in March, awards are presented to members who have harvested game with their bow and arrow. Members also have the opportunity to participate in a photo contest, display their mounts, visit with vendors to check out the latest equipment. Seminars are held throughout the day as well as a live auction. Communication for all members is currently provided through this website and our quarterly magazine which is published and mailed directly to the home of each member. Many OBA members are certified instructors for the National Bowhunter Education Program and to date these instructors have help educate over 40,000 bowhunters. 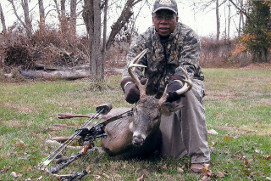 The OBA is the official voice for Ohio bowhunters at all Ohio Game Hearings and Wildlife Council meetings. The OBA has gained widespread acceptance with the Ohio Division of Wildlife, Wildlife Council, and the Wildlife Legislation Fund of America. 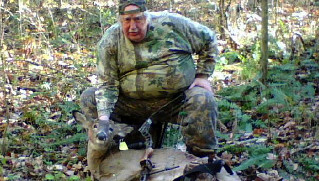 The OBA has donated money to help other states to fight for better Bowhunting ethics. Hand in hand we stand with fellow bowhunters in the fight against anti-hunter organizations. Monetary donations were sent to western states battling blizzard conditions to help feed wild game when all other efforts were exhausted. The OBA was a strong ally with Issue 1 several years ago as well as a strong proponent for Dove hunting. This organization supported and campaigned for Sunday hunting and the fall turkey season. We work with the Division of Wildlife to insure and encourage the use of proper and proficient equipment in the archery season. We hope this information has provided you with answers to the question of why you should join the Ohio Bowhunters Association. As with any organization there is always room for improvement and growth. That can come about with your involvement in the OBA. When you become a member of the OBA you gain an active role in protecting the future of Bowhunting in Ohio and across America. You will have voting rights at all OBA sponsored events, a quarterly magazine delivered to your home, a jacket patch to display the OBA logo, and an opportunity to get involved in the fun and excitement that comes with being an OBA member. 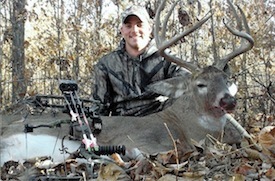 So the next time you ask, “Why should I become a member of the OBA?”, ask yourself, “Do I enjoy Bowhunting?”. “Do I like having an early archery season?”. “Do I really want to keep the hunting privileges I have now and preserve them for the next generation of bowhunters?”. “Who represents me at the Game Hearings and Meetings?”. With the recent merger of the Humane Society of the United States and PETA, an organization with a $90 million budget touting to ban Bowhunting in the USA by attacking our traditions and privileges at the Government level, we need to ban together to prepare and for this fight. Consider you future and the next generation of Bowhunting. Join the OBA today. United we stand, divided we fall. 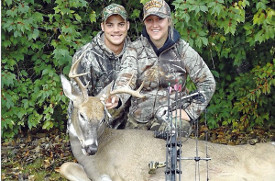 Membership in the Ohio Bowhunters Association is $20.00 per year for you and your family. With your membership you will receive a membership card, a Scarlet and Gray membership patch (new members only), and a quarterly magazine. You will also receive representation at all game and wildlife council meetings. There are two ways you can join or renew your current membership. You can contact the OBA by e-mail or phone and request a membership application to be sent to you. You can also join or renew instantly using PayPal below. With PayPal you may use your existing PayPal account or your major credit card. The purpose of the Ohio Bowhunters Association is to protect, promote, and upgrade the sport of bowhunting in Ohio. As a member you join with us in this purpose. 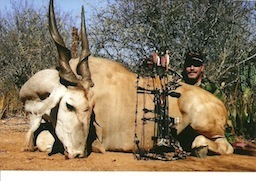 As a benefit to you for your membership, you join a fellowship of dedicated like minded bowhunters. Your bowhunting rights and traditions will be upheld to our State government. You also have access to OBA shoots and events including the annual awards banquet. 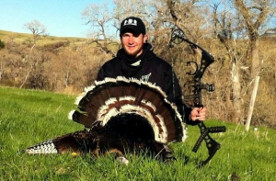 You can also participate for big and small game awards, and expert bow hunter awards. The best benefit is becoming a member of the only bowhunting organization that represents bowhunting for bowhunters in the State of Ohio and showing your support. To join or renew immediately using PayPal please use the below buttons. You are able to use an existing PayPal account or major credit card. Thank you for joining with us!